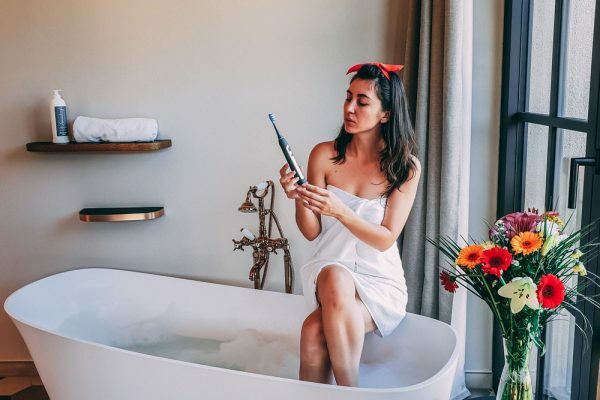 I’ve talked in my previous posts here about fashion, outfits and the beautiful places I’ve visited lately, but now it’s time to talk about something else that’s very important for us… skin care and beauty products, because obviously our complexion must be perfect every day. Ever since I was a little kid I’ve had small problems with my complexion and I’ve probably tried a ton of products ’til today. 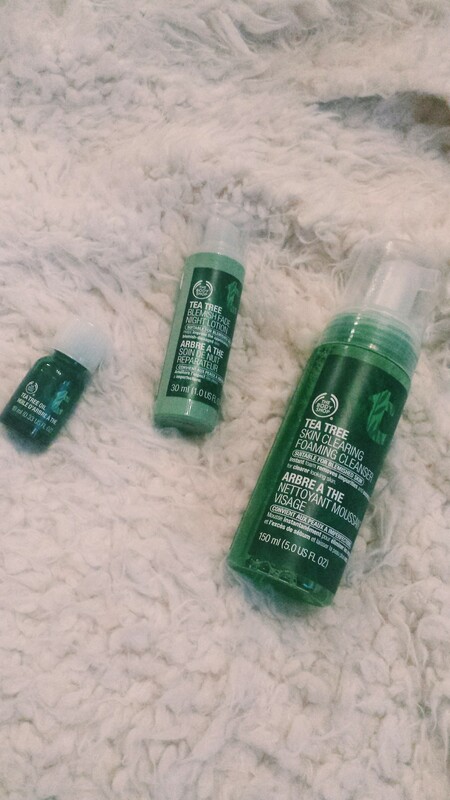 But just a while ago I’ve discovered the skin care products from The Body Shop and they seem to be a match made in heaven for my skin. As I’ve said in a previous post, I’ve bought these amazing beauty products from Bremen and I’ve decided to wait until I got back home to try them out. I’m taking about a Tea Tree Foaming Cleanser, a Tea Tree Night Lotion and a Tea Tree Oil, which, as their name states, are all products made from the tea tree, that has strong antibacterial properties. 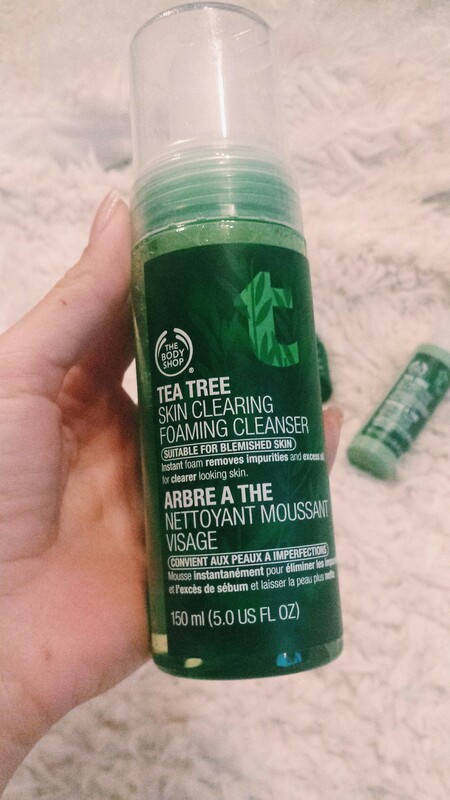 Every morning I wash my face with the Tea Tree Foaming Cleanser and also in the evening after I remove my makeup and it just works wonders. The first thing you’ll probably notice though is that the smell is not too great, but the skin will feel so soft and fresh you won’t even believe it’s true. This cleanser will help you remove makeup and impurities and will help you keep your skin blemish free if you use it every day. 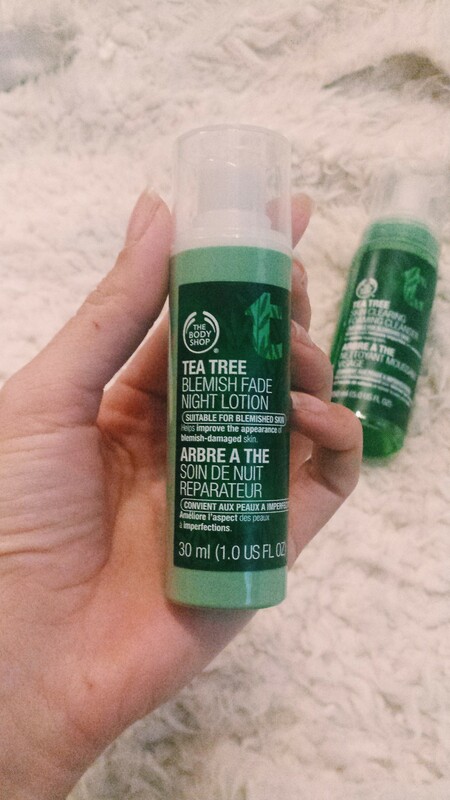 Next, the Tea Tree Night Lotion is a soft cream which improves the appearance of damaged or spotted skin, balancing the sebum quantity and moisturizing your skin during sleep. This cream will leave your skin looking clear and clean and in the morning your face will look almost close to perfection. 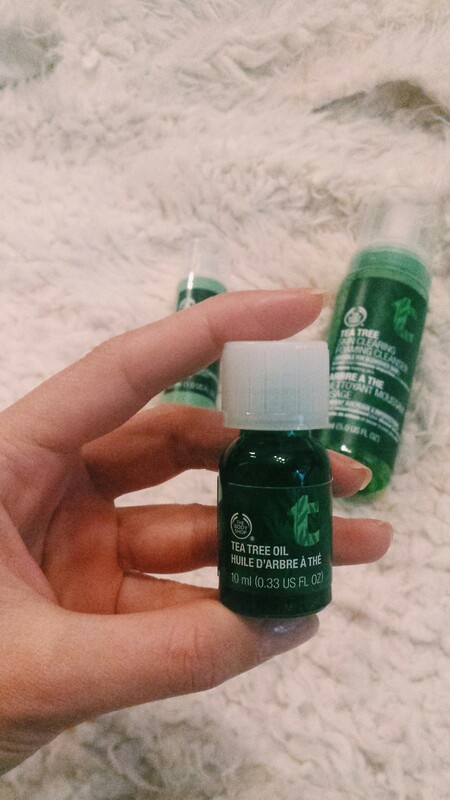 Last but not least is this tiny Tea Tree Oil which is a must have among your beauty products, because this oil can be used directly on your skin or on pimples, with a soothing effect. 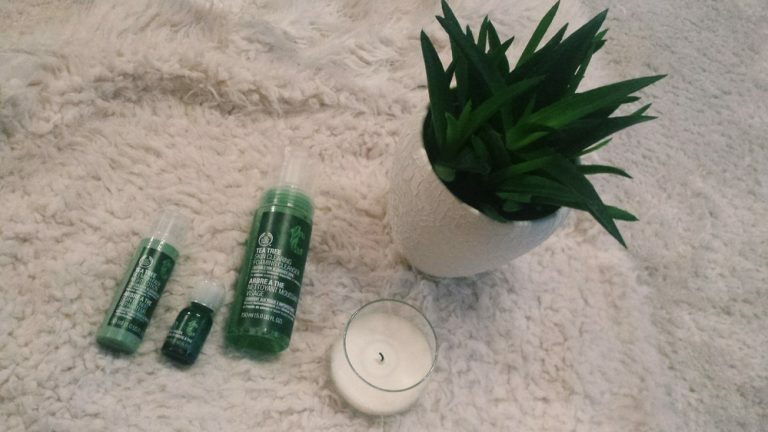 This special tea tree oil also has antibacterial properties and it won’t dry out your skin, which sounds pretty great, right? 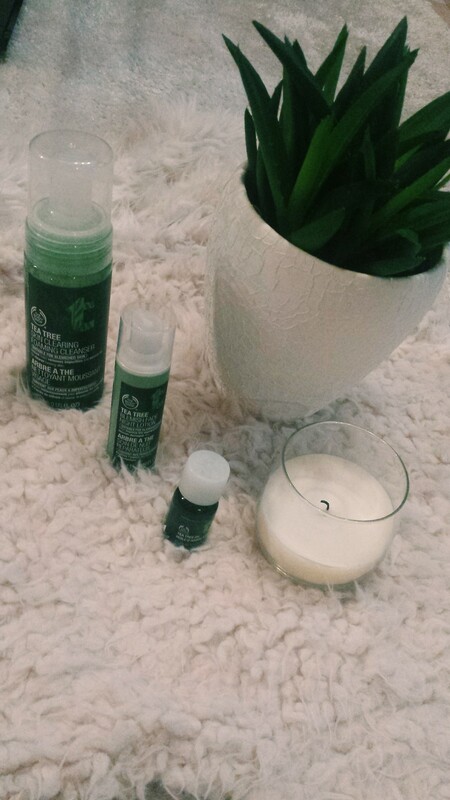 I don’t know if you like the products from The Body Shop just as much as I do, but maybe you can share your favorite skin care products here too. I’m curious to see which products work well for other girls. 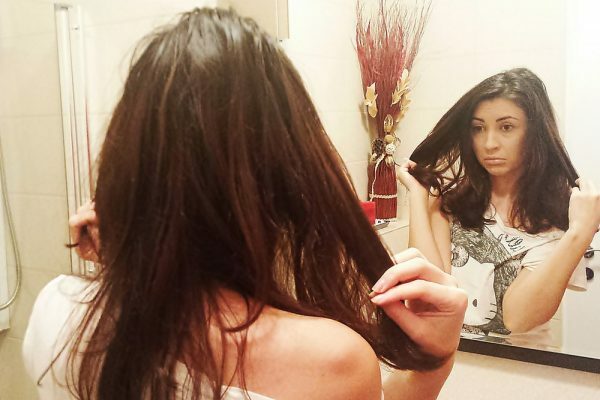 Next Article New season – new look! Buna, Georgiana! Stiu ca esti din Sibiu m-ar ajuta foarte mult daca mi-ai recomanda un salon de Cosmetica de încredere din Sibiu. Sunt interesată mai ales pentru tratamente faciale. Multumesc frumos si mult succes in ceea ce faci!